I've had the privilege to photograph this family for 3 years now. 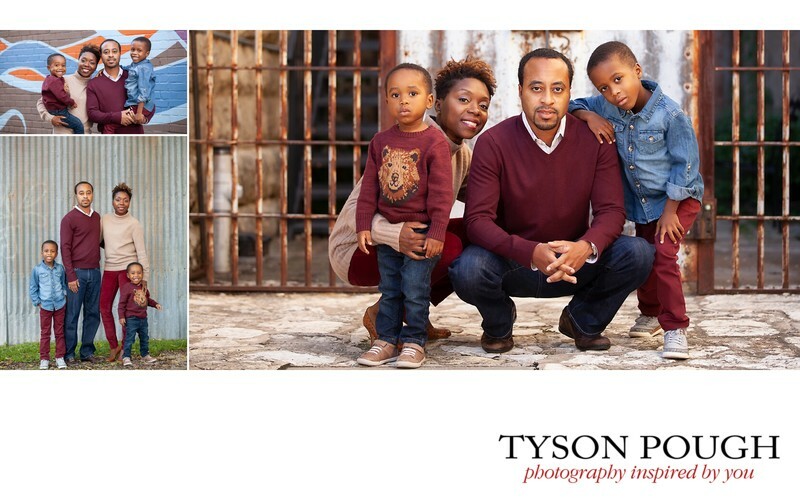 The first two family portrait session took place in city parks located in Dallas. This year we wanted to change things up a little. So we went to Historic Downtown McKinney for this family portrait session. One of the biggest dilemmas when it comes to family portrait session is what to wear. They knocked it out the park with their color and clothing selections!